Does Bird Seed go Bad? Feeding backyard birds can be an entertaining way to support local ecosystems and attract wildlife to the yard. However, it's important to make sure the seed in the feeders remains fresh and nutritious. 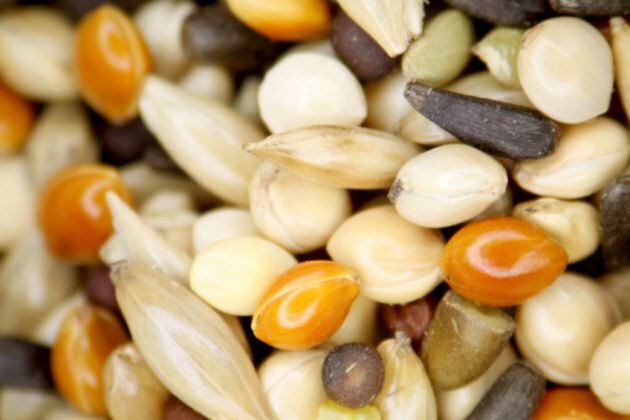 Spoiled bird seed can cause diseases in birds. Birds are unlikely to notice the taste of stale or old bird seed, even if humans would. Older seed can be used in bird feeders if it does not appear discolored, clumpy or infested with insects. Moldy or clumped bird seed can pose a health hazard to birds. Seed stored in moist conditions or allowed to remain in a feeder too long can develop mold. Birds which eat this seed may develop aspergillosis, a fatal respiratory disease. Keeping seeds dry and cleaning up spilled seed can help wild birds stay healthy. Old bird seed may also develop moths. These insects often lay their eggs in the seed itself and hatch out in the seed container. These moths do not harm the birds — many insectivorous birds may enjoy the extra protein from moth larvae — but they can infest human food, such as flower and bread. Therefore, you should store bird seed in airtight containers away from pantries and kitchens to prevent moth infestation.